Product prices and availability are accurate as of 2019-01-27 06:12:50 EST and are subject to change. Any price and availability information displayed on http://www.amazon.com/ at the time of purchase will apply to the purchase of this product. A fresh perspective to any dining room settings. 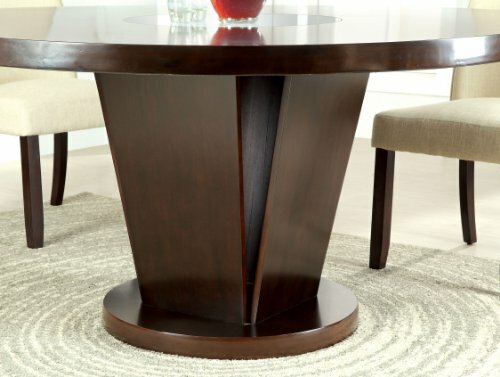 Our Telstar Round Dining Table casual modern design combines classic touches, rich espresso tones and unexpected details, like, geometrically designed pedestal base and stunning mirrored lazy susan inlay. 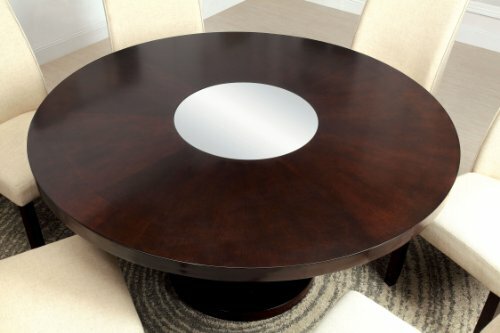 This 60"-round table features can make a diminutive dining room or eating nook feel special. Dining table makes a perfect complement to our Telstar Upholstered Side Chair in Ivory, crafted of solid woods and selected veneers, modern silhouette dining chair features a high profile arched back effortlessly connecting with its upholstered padded seat cushion. Product Made in China. Assembly Required. Dining Table Dimensions: 60"Dia. 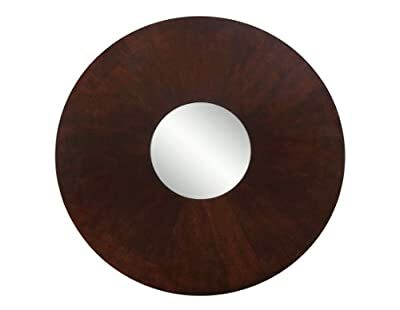 X 30"H; Lazy Susan: 20.75" Dia. ; Table seats: 4-6, Comfortably. All decorations and accessories are NOT included.